Kaivan K. Shroff is a first-year masters in public policy student at the Harvard Kennedy School. 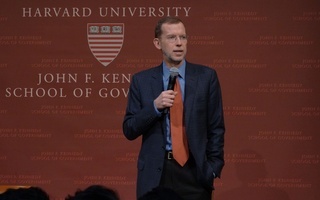 On Tuesday morning, I received an email from the dean of the Kennedy School, Douglas W. Elmendorf. “Please vote!” read the subject line. The leader of Harvard’s public policy school then proceeded to rally the HKS community to participate in the upcoming election next week: “I encourage all eligible students, staff, and faculty to take the time to vote. Although the Kennedy School will be open as usual next Tuesday, I believe that fulfilling your civic responsibility is compatible with fulfilling your responsibilities to the School.” He then implores, but does not require, professors to make informal accommodations for students who arrive late or miss class in order to vote. On its face, encouraging voting is a positive and productive step for a dean in Elmendorf’s position to take. 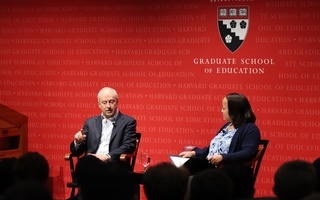 As communications chair for the Harvard Votes Challenge at the Kennedy School, an initiative to achieve 90 percent student voter registration at the school, I was stunned to learn that in 2014, the last “midterm” election, just 64 percent of eligible Harvard students were registered to vote and a mere 23.6 percent turned out to vote. Across graduate schools at the University, just 16.4 percent of those eligible engaged in our single most important civic responsibility. While I am proud we exceeded our 90 percent registration target last week — and the school was incredibly supportive of this initiative — a deeper consideration of Elmendorf’s email reveals a glaring missed opportunity. The Kennedy School and the wider university should cancel classes on Election Day this year and every year after. Prioritizing voting in this way is important for a multiplicity of reasons. First, big picture, if Harvard’s goal is to educate future leaders across all sectors, performing basic civic duties is an integral first step — surely education is not simply about ideas, but also actions. It is far too easy for students to get swept away in the Ivy League bubble and forget about the communities around us and the communities we are from. 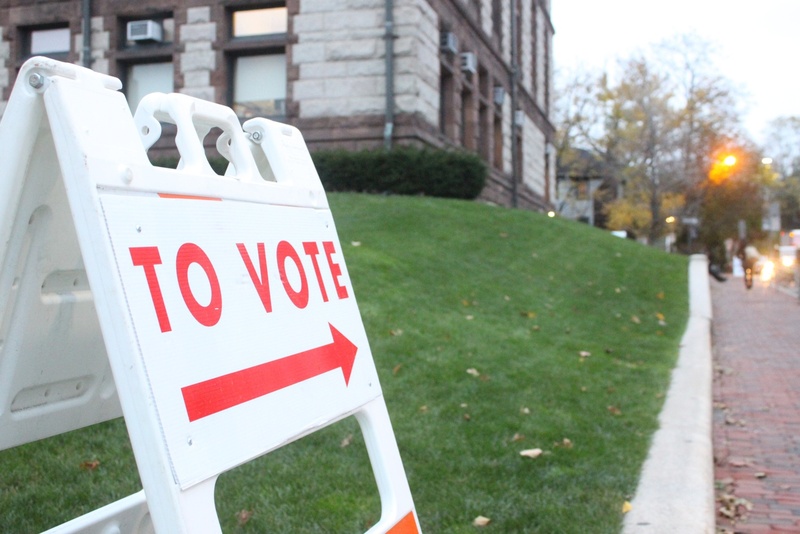 While perhaps the Kennedy School of Government has an unique onus to live the values of public leadership by remaining closed on Election Day, the official mission of Harvard College is “to educate the citizens and citizen-leaders for our society.” While it’s true students can find time to vote, we know that each additional barrier to voting decreases participation. Cancelling classes sends a message that Harvard is prioritizing voting and eliminates a real reason that students may be too busy or too tired to go to the polls. While ideally students themselves would take every step possible to engage in this civic process, we know this is not the case — and Harvard can use smart policy to change that. 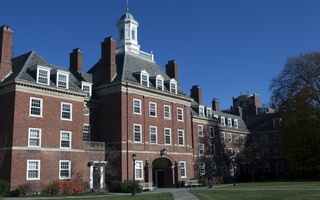 Moreover, Harvard employs over 15,000 staff and faculty members. 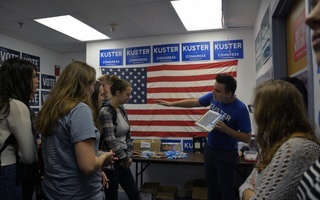 Only 56 percent of the voting age population went to the polls in the 2016 election — and non-voters cited being too busy or having a scheduling conflict as the second biggest impediment to casting a ballot. Harvard has the resources and autonomy to empower its workforce to express their political will. In fact, it is the very workers who keep the University running who may have the least voice and seek to gain or lose most from election outcomes. Finally, Harvard can lead by example. For decades, Americans have called for Election Day to be a national holiday. After all, democracy and civic action are central to the American ethos and narrative, though in practice we fall incredibly short. Elite institutions, for better or worse, have cultural capital to set standards and test best practices. If Harvard gives its nearly 40,000 community members Election Day off this year or next, studies the impact of the decision, and starts to build a movement, our society will be better off. I deeply encourage University President Lawrence S. Bacow to take this bold step forward — one of the many required to reorient the university not only towards the best ideas, but engagement with the world around us.